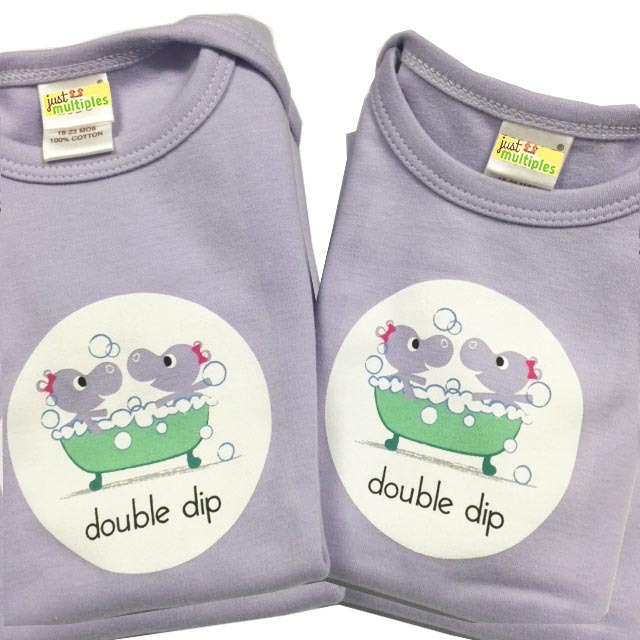 Introducing our all new, exclusive "DOUBLE DIP" design by Just Multiples! This super cute tee shirt set is the perfect gift for twin girls! 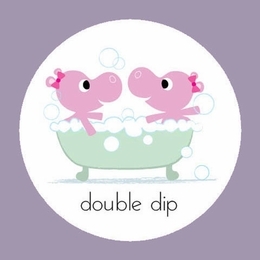 It's lavender color and it's Double Dip design of hippo girls in the tub adds a little humor to having twin girls! 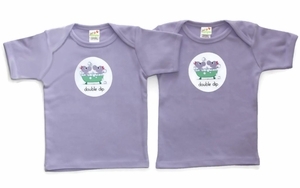 Price includes TWO short sleeved tee shirts!